Become an Ecwid Partner and receive a powerful and flexible e-commerce solution that retains your branding, your pricing and your billing. Built for web professionals of all types and sizes, Ecwid makes sure you maintain end-to-end control of the services you provide. Sell e-commerce under your brand. Receive deeply discounted wholesale pricing. Manage customer relationships with your own billing at your preferred price. Save time by managing all of your stores from one simple yet powerful Partner Dashboard. All you need, all in one place. Your e-commerce is in the cloud and your data stays secure. No downloads, maintenance or updates for you. We take care of all of the technical stuff. By partnering with Ecwid, you’ll receive a class-leading product that solves all of your clients’ e-commerce needs. Reach over 1 billion users instantly. 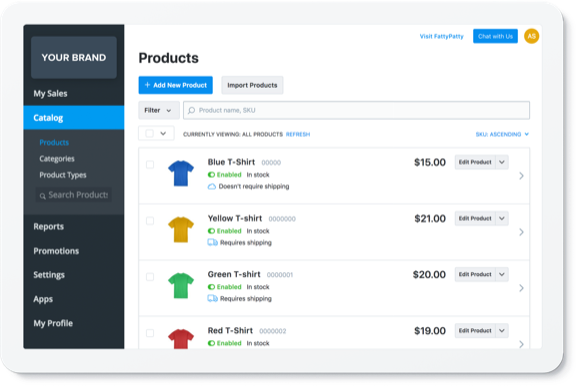 Our seamless integration with sites like Facebook and Instagram makes it simple to connect stores in just a few clicks with automatic inventory syncing and optimized retargeting. Financial data is transmitted via the same secure HTTPS protocols used by the largest banks. Ecwid is a PCI DSS validated Level 1 Service Provider--the gold standard for e-commerce solutions worldwide. YAs a hosted solution, Ecwid maintains all of the technology, security and updates so you can focus on selling. 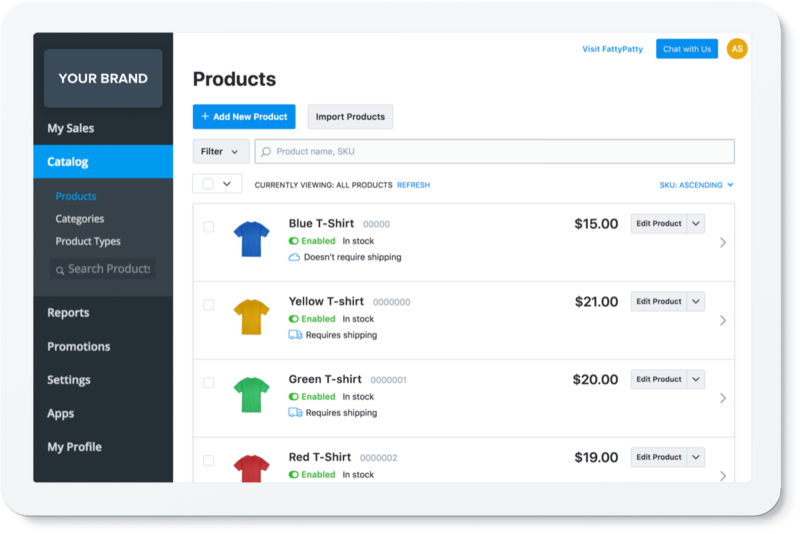 Enjoy features like headless commerce and partner provisioning APIs without worrying about the details. Is the Facebook Shop integration available for my clients? Is the Ecwid App Market available for my clients? Yes. Use our partner-specific White Label App Market. You can choose which apps are enabled for your customers in the App Market. Download the list of available apps. Do you support local payment methods for my country? We offer over 50 different online payment methods and you’ll find at least a couple ones that work for your country. Need to integrate with a custom local payment? Use our API to create a custom payment method integration. Will the Ecwid Store Management Apps be under my brand too? We provide a special private-label mobile application for iOS and Android under a unified neutral-brand. The app is the same for all our partners, but without Ecwid branding inside it.